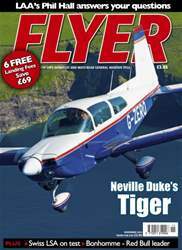 This month in FLYER, Ian Seager flies a Grumman AA-5B Tiger and finds a four-seater with great handling and performance, and also uncovers some hidden heritage, finding out it was the last aircraft owned by legendary British test pilot, Neville Duke. Thomas Borchert flies the newest EASA-certified LSA, the Lightwing AC4 from Switzerland. You'd be right if you think it looks a bit like a Ikarus C42 – it's from the same designer. Elsewhere in the issue, we put your questions to LAA's CEO Phil Hall as he marks one year in the job, Joe Fournier looks at aircraft limitations and reminds us that they are there for a purpose, plus you can check out six pilot watches in Top Gear. 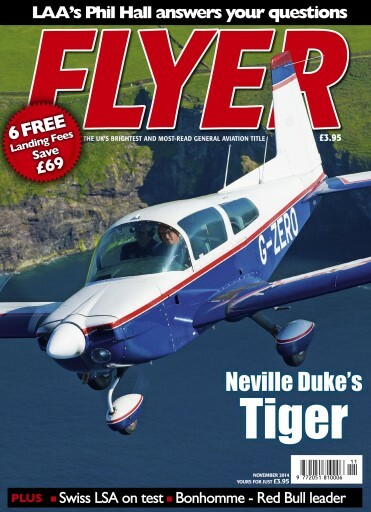 Add in a flying adventure that takes you on 1,000 mile trek from Maine to Oshkosh, a new Bush Pilot tale, the chance to save £69 in landing fees, the latest news, comments, events and much more, and you can see why FLYER is the brightest and most-read GA title in the UK.